Saturn is one tricksy planet. For centuries scientists and well most of us saw the rings around the seventh planet in our solar system and noticed they were different widths. 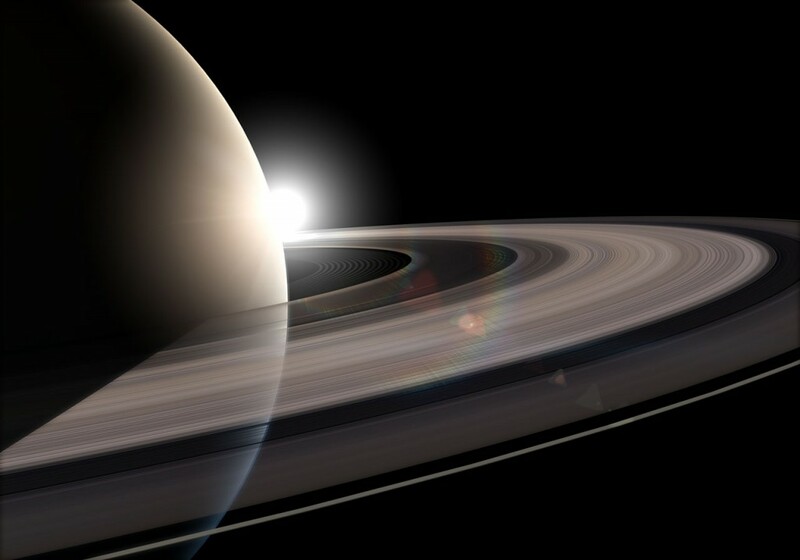 Since the discovery of the planet, astronomers have thought Saturn’s various “halos,” comprised of small particles made up of water ice and traces of rocky material, range in size from micrometers to meters. This idea lasted up until recently when researchers uncovered a surprising fact based on the weight of the rings. After coming up with a formula to measure the spiral density waves captured during NASA’s Cassini mission inside the ring, the scientists converted the data to weights. From there they discovered that despite the various appearances of Saturn’s rings, their individual weights were all essentially the same. It seems that what we thought we knew about the rings were actually just an optical illusion though they don’t know how that illusion is actually working or happening.